Hot on the heels of their ZX1 player is the more expensive Sony ZX2. I heard a lot of grumbling at the $700 price of the ZX1, though actually handling that model helped bring at least some understandingit was very well made. The ZX2 turns it up to eleven by having even more extreme quality, along with the nearly doubled price tag. And it appears Sony plans on continuing their ladder-climbing with the NW-WM1Z, which will be available at $3,200 by the time you read this. There's a part of me that immediately objects to these high prices. I cynically think that Sony could, and therefore should, be selling these for substantially less, yet are choosing to jack up the prices in a deliberate appeal to the "Premium" market. "Hey, if Astell & Kern can do it, why not us?" Sony will always have a special place in my heart based on their history of groundbreaking releases and I just hate to see them go down this pathif indeed their intentions match my suspicion. But then another part of me recalls how much I enjoyed the affordable NWZ-A17. There's the trickle down theory of audio performance which is very much alive in this family of components. If the existence of the expensive ZX models is the only reason the A-series ever got off the ground, well... that changes things. In the end, as long as Sony continues to make good options at a variety of prices, then I guess I don't mind these more expensive products being out there, even if they do leave a bad taste in my mouth on some level. From the outside, the ZX2 is a stunning achievement. No doubt about it. I'd put this thing up against the most expensive Astell & Kern model any day of the week. The gently-curved edges of the matte-black enclosure. The inset transport and volume buttons, ideally spaced and sized for ease of use. The huge gold "insert headphone here" jack. Everything about this device screams "precision", in a way few others can match. While it feels like some competitors go for interesting (AK240) or downright ostentatious (Lotoo PAW Gold) design features just for the sake of being different, ZX2 seems to be functional in its beauty. The rear panel is covered almost entirely with a textured material combining the visual appeal of leather and the non-slip grip of rubber. If any device was meant to be used without a case, this is the one. There's a solid heft to this thing which maybe detracts a tad from portability but also gives a sense of reassurancepick it up after handling an expensive new Samsung Galaxy phone, and you'll instantly know what I mean. Unfortunately the ZX2 display is where the premium experience ends. Not that it's terrible; I find it perfectly usable, and from a technical standpoint easily on par with the A&K models. It's just that I'm conditioned by the ever-improving smartphone market to expect higher and higher resolution on a device like this, with less and less bezel around the display. So for a device of these dimensions (which are somewhat large in this field of DAPs) my brain defaults to at least a 5-inch screen with Full-HD resolution or higher. Instead Sony gives us a 4 inch, 854 x 480 display, seemingly identical to the one used in their Xperia Play device circa 2011. Again, it absolutely gets the job done, but just seems like a missed opportunity considering the "premium" focus here. Sony again uses their proprietary S-Master HX system instead of the more typical off-the-shelf DAC chip with separate amplification stage. As I mentioned when covering the NWZ-A17, S-Master has a lot in common with other well-received "direct digital" implementations such as the NuForce DDA-100 and NAD M2. All three use proprietary approaches to pulse-width modulation with the Sony obviously requiring very little output power in comparison. More info about S-Master can be found here and here. This time around Sony made significant improvements over the ZX1: a thicker PCB; gold-plated copper insulation on the chassis; more capacitors in the critical analog circuit; a "super capacitor" for more stable voltage reserves; a larger capacity battery; dual oscillators for native sample-rate playback (the ZX1 had to upsample 44.1kHz material to 48kHz due to its single clock design); and on and on. Sony promises superior quality output, if not much more quantityrated at 15mW per channel, the ZX2 won't be driving an HE-6 or K1000 anytime soon. Sony also adds DSD capability this time around, though if I recall correctly the ZX1 eventually picked that up as well via firmware update. PCM support goes to 24-bit/192kHz which won't win any spec-wars but is plenty for nearly all real-world recordings. Worth noting: the ZX2 does convert DSD files to PCM during playback, which is interesting considering DSD is Sony's creation (a joint venture with Philips) and is supposedly better than PCM. This probably relates to the need for volume adjustment which is a common reason why devices can't do native DSD all the way through. Sony doesn't specify output impedance, and I've even seen their designers proclaim "it doesn't matter" on more than one occasion. I measured the ZX2 as having a less than 2 Ohm output impedance which is just about half the impedance of the A17 (and presumably the ZX1). This is a good thing for IEM matching, as the A17 had the occasional impedance related interactions. This is an area where Sony probably has a significant edge over most competitors. I say "probably" because it depends on what you value in a DAP, but for many this will be very important. Sony uses Android on this device and builds their music player, EQ, and other dedicated apps on top of it. This is a major departure from any DAP using proprietary software, and some users will love it while others might not like it one bitAndroid certainly has its quirks and is not for everyone. This is an older version (4.2) of Android and may feel somewhat archaic for those of you accustomed to the later releases. As an Android phone and tablet user, I feel the difference between Android 4 and 5 was much more obvious than the jump from version 5 to 6. Still, keep in mind this is not a phone and thus won't likely be relied upon for everyday tasks like scheduling, navigation, email, etc. The major benefit here is the ability to run apps. Don't like the default Sony playback software? Just add Neutron, Poweramp, PlayerPro, or any other app you want. On most other DAPs you're stuck with just one interface and if you don't like it... too bad. DAP makers are often skilled at making hardware but not so good at the software side (see the Consonance Suzanne from my last article for a prime example) which is totally understandable. The ZX2, or any other device running Android, has the advantage of being able to use dedicated 3rd party apps which have been refined for many generations and are now very polished. Then there's the streaming aspect which is a major benefit in my opinion. I rely on Tidal for lossless streaming, and with most DAPs that's not an optionbut it works perfectly on the ZX2. There's also Spotify and Qobuz and Deezer and whatever alternative you like, not all of which are available is every area. This is a major, major factor in my enjoyment of the ZX2. I'm sad to hear Sony is going with proprietary software on their upcoming WM1Zit eliminates the possibility of apps which really changes the game as far as I'm concerned. One minor annoyance I have with the ZX2 is the start up delay. Like any Android device, there's a process involved for booting which takes some time. Then, just when all appears to be ready for library browsing, the device scans for new music, stopping me in my tracks. We're not talking lengthy delays here but perceptually it feels like a longer wait than other DAPs. A solution is to just let the device sleep rather than fully power down, which of course wastes more power than turning it all the way off. Another minor issue is the lack of processing power. Sony uses an OMAP processor from Texas Instruments with a dual core configuration at 1 GHz per core. This chip, like the display, was something you'd find in devices from 5 or 6 years ago. And just like the display, it's not as huge of a deal as it would be for a phone, though it still has ramifications. Things feel just a tad sluggish compared to a modern Android device. Nothing drastic or insurmountable, but again I would have liked more from a flagship device. There's 1GB of RAM on board which is a bit low these days but not as much of a bottleneck as the processor. The ZX2 is a mixed bag. We get 128GB memory which is expandable via micro-SD slot. WiFi is of course a necessity for Android functionality, and it works fine here. It even comes preloaded with an app for DLNA streaming, allowing for easy network playback at home. Sony uses their proprietary LDAC Bluetooth technology which should in theory have a sonic advantage over other Bluetooth implementations such as aptX. It can do lossless CD quality playback and supposedly sounds good even with hi-res material (though it does end up being lossy in those cases). The downside? Your target device must also be LDAC equipped, which limits your choices to a few headphones and speaker systems from Sony. I don't have any of those so I can only confirm that "standard" Bluetooth works fine without any hiccups. The port for charging and data transfer is a proprietary Sony WM-Port. It's been used in other Sony devices and therefore does have a range of accessories available including docking stations, line-out adapters, and car chargers. They generally seem to cost more than I'm used to for regular microUSB accessories, and I really wish Sony would have gone that route, but at least there are some choices in this format. You can also find a small selection of cases and other accessories on eBay and Amazon, again costing more than the typical iDevice gear. There's no built-in jack for line or digital out, so you'll have to get a special cable to do either. Sony does make a matching DAC/amp called the PHA-3 ($999) which comes bundled with a WM-Port cable for digital connection. If you want to use your own DAC, USB out with a special cable is the only way to gothough not every DAC will actually work (as is always the case with Android USB out). I don't see any way of getting SPDIF out of the ZX2. The 3.5mm headphone out is a bit "different" in what I'll call a classic Sony move. They use separate wiring to carry left and right ground signals from the S-Master circuitry to the headphone jack, which is a 4-pole TRRS design. They claim this reduces common impedance and improves stereo separation, while cutting contact resistance in half at the jack itself. This is not to be confused with a balanced output, and it works perfectly fine with any standard 3.5mm headphone plug. Sony doesn't really make a big deal out of it and I'm not sure a lot of ZX2 users even know about thiswhich is why it's a classic Sony move. There's been a bit of confusion about it on the forums but I can assure you this is NOT a balanced output despite the similarities with HiFiMAN's TRRS 3.5mm balanced jack. You can plug a HiFiMAN RE600 IEM (with stock balanced cable) straight into the ZX2 and it will sound great, but it will remain a single-ended connection. Another huge win for Sony here. Performance time on the ZX2 is better than nearly every other DAP I've encountered. The large battery, efficient OS, and lack of juice on the headphone out all seem to contribute. While many DAPs struggle to last through an 8 hour work day, the ZX2 will get you through a 40 hour work week with time to spareSony rates it around 60 hours with CD quality material and it drops down to 40 hours for 24/96 playback due to higher processing demands. 24/192 is lower, DSD64 lower still, and DSD128 the lowest of allthough at roughy 16 hours it's still better than most competitors can mustereven if they're just doing redbook playback. My real world use gives me no reason to doubt Sony's numbers though factors like volume level and network streaming make it slightly variable. This is by far the best performance of any dedicated "audiophile" device, making it downright embarrassing for the others. All this with a battery capacity of only 1860mAh which is lower than many competitors, proving there's more to the equation than just higher numbers. Once you've had a week or three of solid use without a charge, it's hard to swallow the idea of charging every few days. Sony's diminutive NWZ-A17 had surprised me with excellent sound quality and the ZX2 is even better. How good? We're talking arguably best of the best when operated within its limits (meaning no difficult to drive headphones). It's a neutral to slightly warmish sound with superb bass control, class-leading timbre, deeply layered soundstage, and impressively articulate highs. Wow! I'm stunned at what Sony has accomplished with this device. Funny thing is, I was somewhat hesitant coming into this review as I wasn't all that impressed with the ZX1. The A17 was pleasingly clear and crisp, perhaps lacking a bit of weight but that was forgivable considering the size and price. The larger and more pricey ZX1 did pretty much the same thingin fact it may have even sounded leaner, with better detail but also more glare. I'd call it a "digital" sound if that means anything to you. With the ZX2 building on the same platform I wasn't sure Sony could turn it around. Those upgrades I described earlier really seem effective as this thing is just a whole different animal. Sony gives us all sorts of options for tweaking the sound. There's simulated surround, ClearAudio+, DSEE HX, Dynamic Normalizer, and a 5 band EQ plus adjustable Clear Bass. These can be fun to play with but my suspicion is that most people will leave everything turned off. That's what I dothe standard, unmolested sound is of such high caliber that all these options seem to detract from it. But, I'm still glad they're here if someone wants them. I have two minor complaints to level against this otherwise stellar-sounding device. 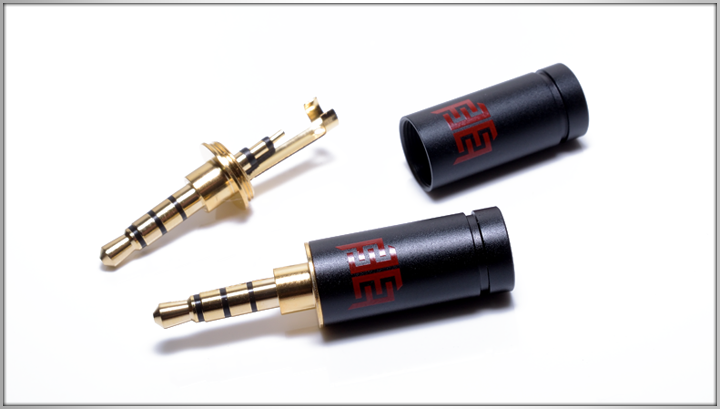 First, there's a small amount of hiss with more sensitive IEMs. Interestingly, the hiss is more pronounced when the IEM is first connected, then it quickly settles down to a more tolerable level within a few seconds. This must be related to the unusual S-Master HX system as I've never heard this sort of thing with another DAP. In any case, many IEMs are silent and those that do hiss are not over the top, but it's definitely present and I know some of us are more sensitive to it than others. My other complaint has to do with the somewhat low power output. It's not as bad as some people make it out to be, but I still consider it a factor depending on your intended use. The ZX2 handles IEMs brilliantly and is happy driving a large number of my big cans: Grado PS500, B&W P7, Audio Technica M70x, A&K AKT5P, AKG K812, Ultrasone Edition 12, and Sony's own MDR-1A. All of these were driven to absurd levels without any hint of strain. However, I did find a group of headphones which did not sound ideal: Audio Technica's R70x sounded limp and lifeless, the Sennheiser HD650 lacked impact, and the beyerdynamic T1 was just flat and boring. These are all higher impedance cans; the ZX2 drives them to arguably sufficient volume levels but clearly doesn't bring out their best. Then there are the somewhat difficult headphones like the Mr Speakers Alpha Dogs which the ZX2 just doesn't drive adequately, period. There's just not enough juice on tap to energize their inefficient planar magnetic drivers. But you know what? That's OK. For a portable player, the ZX2 does just fine. It drives everything I would reasonably use in a portable scenario. If users look to this device as their one and only method of playback, I can see how it might be limiting. Yet I imagine anyone with a $1200 DAP budget will also have something more potent for home use. To me, the quality of playback here more than makes up for the slight lack of juice. Sony has a real winner on their hands, setting the bar very high for this group.